Here's a quick walkthrough and strategy guide for the action RPG third person shooting game - Fantashooting 2. This guide will only cover the Forest of Trials Stages 1 to 40, and will focus on using Ranger Jenny as the primary Hero. Shepherd Sam is also ok, just follow the guide below too for upgrading. Refer to the link below for more useful tips, and to get your "Friend Code". - Avoid touching enemies, projectile attacks, and other tricky objects they drop. Keep moving and don't get hit!, circle around enemies while attacking them continuously. Do not let yourself be surrounded by enemies, use your Dash wisely and run towards the open, turn it off when not needed to conserve your Stamina. - Pick up all items on the ground, especially Gold Coins, but make sure that there are no enemies around that will hit you. - Note: If a boss monster stops chasing you, it will use it's skill, use this time to move away or to dodge it's attacks. 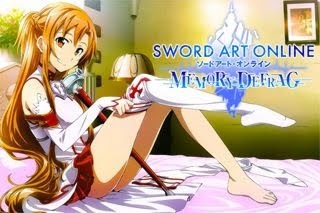 - If you are having difficulty, replay previous stage to farm more Gold for your weapons and/or skills. Refer to the suggested farming stages given below. - If you didn't get 3 Stars, move on to unlock better farming stages, upgrade your weapons and/or skills then come back later if you want. - Focus and just upgrade this whenever you can. - Crude Novice Frozen Arrow or Ice Wand (Get Sapphire at Stage 3). No need to upgrade, just use it to slow down fast moving enemies, then use your main weapon to defeat them (Slow + Unique Weapon Combo). Example: Stage 23 Bouncing bottle-like slimes, or those monsters with purple aura. - This is also a nice escape mechanism, slow them down then go to the open. - Skill: Just reach 50% of the upgrade level of your Unique Weapon, but for Shepherd Sam users, upgrade your Hounds a little more, about 70% or more of your Unique Weapon's Lvl. - 1: Focus = Cool-down rate increase by 40% (free Diamond slot). - 2: None for now, focus on upgrading your Unique Weapon first. - No need to use any Support or Enhancement items, save your Gold and Diamonds for better use. - Suggested Farming Stages: 25, 28, or any stage you like to replay. - Just focus on defeating the Giant Slime, should be easy. - Giant Plants: Move a little close around them then attack to avoid their projectile attacks. Do this one at a time and do it fast before the other one appears. - If you are far away from them, they might hit you, so use Dash just in case. - Jumping Giant Red Slimes: Move away or run around them, use Dash if needed. - Red rectangular Slimes: Move away, or run around them. If these slimes can manage to hit you after they stretch out, upgrade your Weapon to kill them before they do. - Same with Stage 6 above. - Giant Goblins: Avoid there projectiles by moving around them. When hit, your hero will be turned into a boar, if this happens, use your Dash to move away. If the Giant Goblin tries to chase you, use Dash to quickly move away. - Defeat those goblins holding a crossbow to land an auto-attack sentry. - Unique Skill Lv 2. - Bouncing Blue Bottle-like Slimes: Fast moving enemies that can chase you down. Either stand your ground and kill them since they will just dodge your attacks, or use Dash and move to the open ground to avoid them or if there are too many enemies nearby. - Use your special skill and try to focus your attacks to quickly eliminate them. For Ranger Jenny users, cast Shower Arrows then stay inside while hitting all of them. - Get Crude Novice Frozen Arrow or Ice Wand (Get Sapphire at Stage 3), just hit them with ice to slow them down then use your main weapon to defeat them. No need to upgrade (+) Ice weapons, just use them to slow down enemies. - Unique Skill Lv 3. - Focus your attacks on the Blue giant Slime, then use same strategy for the bouncing blue bottle-like slimes they summon. - See above for suggested farming stages. - Once the stage opens, start shooting. Keep your distance, use Dash to move away if you getting mobbed. - Unique Skill Lv 4. - Red rectangular Slimes: If these slimes can stretch out and hit you, it's a sign that you need to upgrade your Weapon more. For the jumping Giant Red Slimes, just move away, or run around them. - Always use Dash to avoid fast enemies that are too close, do not let yourself be surrounded. - If you are having difficulty, upgrade your weapon and/or skill. See above for suggested farming stages. - Unique Skill Lv 5. - Focus on those Giant Blue Slimes then follow same strategy with Stage 23 above for the bouncing Blue Bottle-like Slimes. - I would still suggest that you stick with your current Hero though. - Unique Skill Lv 6. 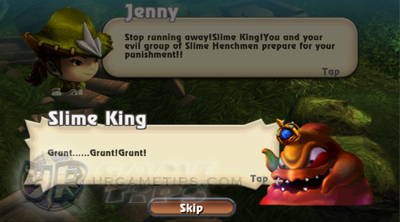 - Slime King: Defeat all Giant Slimes then go for the Slime King. Avoid staying in-front of it to dodge it's attacks. - You can also use your Crude Novice Frozen Arrow or Ice Wand right before the King Slime uses it's dashing skill to slow it down, really helpful for dodging it's attacks.